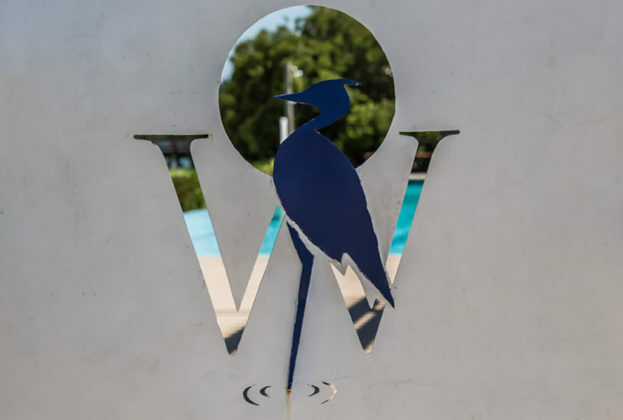 Sitting on the shores of the 200-acre Lake Cameron and adjacent to the Blue Heron Pool Club is The Waters Bocce Ball Court. 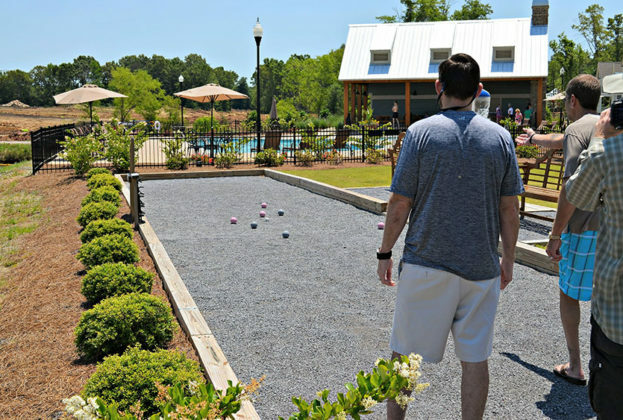 With beautiful views of Lake Cameron, the zero entry swimming pool, and the lakeside pavilion, The Waters Bocce Ball Court is the perfect spot for the whole family to enjoy a fun afternoon of friendly competition. 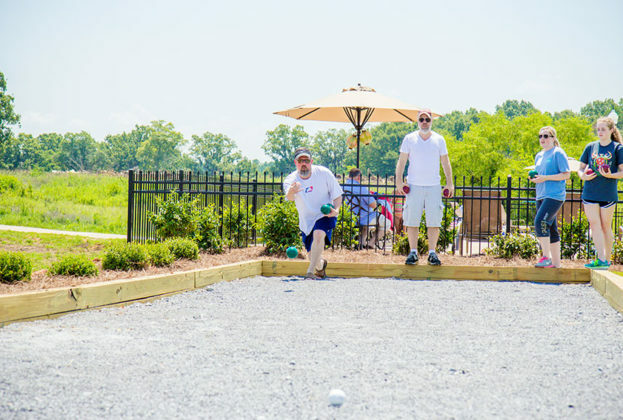 Bocce Ball is a casual, competitive game that you’ll find yourself wanting to play over and over again! Toots It Up, Riding the Rails, Get Legs, Pac Man Shot, Skunked … Study up on all the fun Bocce terms and stop by for a game! Adjacent to The Waters Bocce Ball Court is the perfect green space for a neighborhood corn hole competition.